An NRA instructor is leading the charge to ban toy guns in a California town. I could accept restricting their sale to minors, but a ban? If an adult waves around a toy gun and a cop thinks it’s real, that’s his problem, not mine. End of Preemption in California? Add that to my list of reasons that I will continue to stop supporting the NRA. But *it’s for the children*. They need to close the garden hose loophole. Seems to me proper training would teach those otherwise inclined to NOT brandish a realistic toy, lest Darwinian reactions ensue. But, what do I know? I’m another NRA instructor, not in support of this guys agenda! He needs to have his instructor card pulled. NRA doesn’t do ideological purity tests before it certifies an instructor. That some people who go through the curriculum to get certified turn out to be bozos says what about the NRA? 4 million members and is anyone surprised we don’t have a few wingnuts in the bunch? 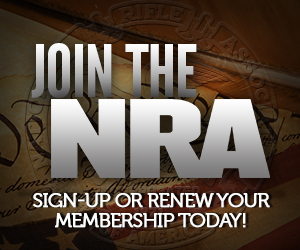 I am giving out memberships to NRA for Christmas. Someone has to make up for the HATE that JP has. “NRA doesn’t do ideological purity tests before it certifies an instructor.” Actually NRA instructors are specifically prohibited from politics in class. Most of the instructors I know include the use of the credential for politics at any time. We aren’t certified to have political opinions. We are certified to teach NRA curriculum. If the guy identified himself as an NRA instructor for the purposes of propagating this pandering political nonsense; he ought to be de certified immediately. And that’s my personal opinion, even though I’m a training counselor. Will making toy guns look less like real guns make any diffrence. Here’s a story of the cops shooting a guy holding a garden hose nozzle. Future gun owner right there. Maybe it’s just me, but it seems that so much has changed when it comes to toy guns. Back in the 1960’s, 1970’s, and 1980’s, toy guns were around then too, and many of them looked realistic, some even functioned that way too, but nobody was getting accidentally shot by the cops because of them, and nobody felt the need to push for banning them either.